Zimbabwe stands to reap greater benefits from the European Union export market by taking advantage of the Economic Partnership Agreement (EPA) the country is a signatory to, which provides for duty-free and quota –free access to the EU market. Despite the bloc having unleashed restrictive measures on selected individuals from the Southern African nation, Zimbabwe however enjoys a trade surplus with Europe despite trade between the two markets still minimal. Zimbabwe trade surplus with Europe grew from US$ 156.6 million in 2014 to 256 million Euros in 2017. 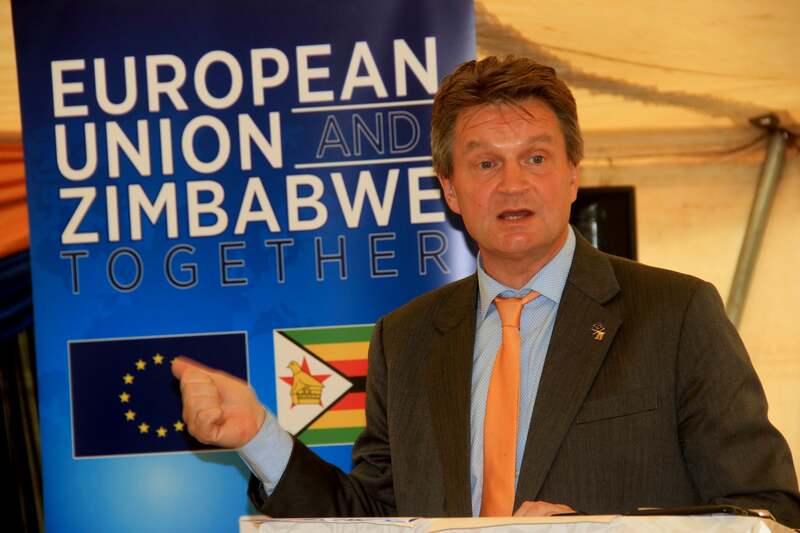 Speaking to journalists at a Press Club meeting last night, EU Ambassador to Zimbabwe, Timo Olkkonen said the EPA provides a window of opportunity for Zimbabwe’s exports. “Zimbabwe enjoys a trade surplus with Europe, it’s quite remarkable because EU as a single market is the third biggest economy in the world and Zimbabwe enjoys a trade surplus, now the amounts are not mind blogging because the trade between Zimbabwe and EU is about five percent of Zimbabwe’s overall trade. Zimbabwe enjoyed in 2017 a 256 million Euros surplus and in agricultural produce mainly, I think it’s a message, this could be expanded,” said Olkkonen. Zimbabwe mainly export to the EU, raw diamond, raw cane sugar, tobacco, refined copper, raw hides and tea. From the EU, Zimbabwe imports cars, chemicals and luxury goods. In 2018 Zimbabwe recorded a US$ 2.4 billion trade deficit on account of US$ 6.3 billion against exports of US$ 3.9 billion. Critics have attributed the country’s low export performance to odious export processes and export permit costs that remain detrimental to exporters. Capital constraints and quality of products however remain key among a host of challenges affecting competitiveness of local products on the export market.